I have thousands of points currently saved as a Drawing Interchange file that I brought into a QGIS project. Each point has attributes that has one bar of text assigned to it. I need to add a word above these points and also flip two of the points for every circumstance. Since there are thousands it would be a real waste of time to do this for each point. As shown in the picture there are numbers on top and then the names underneath. I want the Top number and the name to switch places. After that I need to add the phrase 'N/f' above both number and the name. I know how to get rid of the other two rows of numbers on the bottom through excel. I brought the DXF file into AutoCad and went through my approach to swap the order of text lines. I brought a shapefile into QGIS and edited it through Excel to say 'N/F' and 'T.A. #' and brought those both back into QGIS, joined them to the existing shapefile, and then converted the file back into ACAD. Not the answer you're looking for? Browse other questions tagged qgis dxf format or ask your own question. 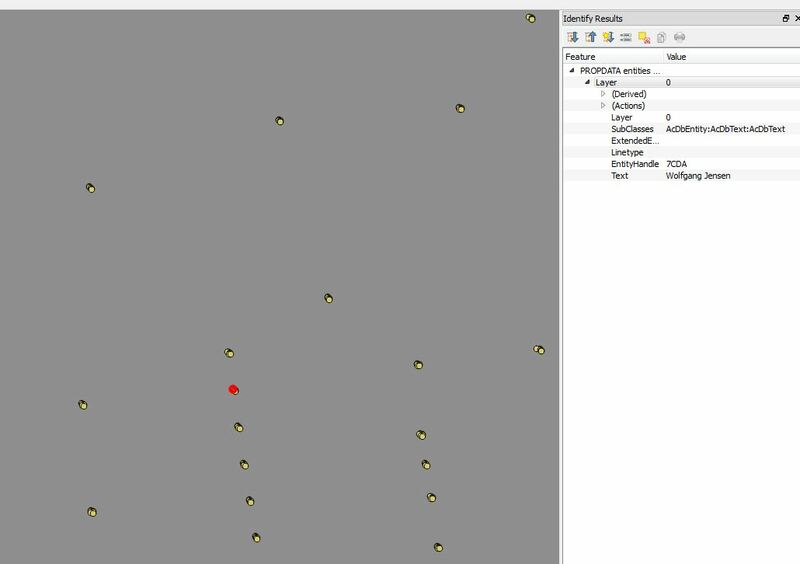 How to create more than one mean coordinate in QGIS? How to find out to which polygon each points belongs to?